Silver Fox equipment labels offers the ideal solution for a fast, efficient and reliable method of labelling. 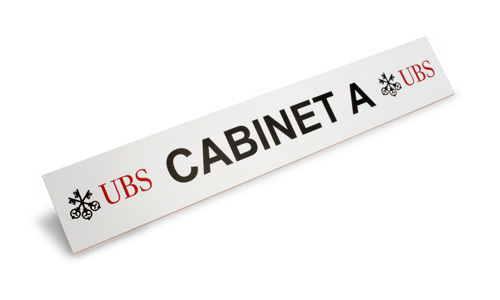 The Silver Fox equipment labels are available in a range of materials and sizes and are easy to produce using the Silver Fox Labacus label printing software. The Labacus software allows you to import your data from Excel or other standard packages, with a choice of pre-configured templates, plus powerful design features to allow you to customise labels to your exact requirements. Silver Fox are market leading manufacturers of cable, pipe and valve marking and labelling solutions for Energy, Electrical, Instrumentation, Data and Telecommunications markets worldwide.